or �PREMIUM package - �dining sail ? More on a budget ? - BEST CREW guaranteed !!!! ��Sail Away for a Day with us - and good memories will stay with you forever - thanks to our exceptional services. Our�priority is to�put smile on your face and have a good time. We want to exceed your expectations and never�under deliver. Quite�opposite indeed -we’d rather�surprise you in a�positive way rather than promise you things and "under deliver". Unlike many others, we�don’t promise things we do not deliver. We do not lure with fake extras�and later make excuses. All reservations are in writing and you know what you will get (any extra is on us). There is no fake fotos, no photoshop�“beautifications” of our boats nor crew. We have very few fotos on line of our guests as we respect your privacy. We are a�professional operation dedicated to�QUALITY. We always make sure our guests have GREAT TIME�and SAFE TIME on�the water�. Most of our charters are day sails: half day or full day, morning or an�afternoon/sunset. Some vessels can also offer night sailing (e.g. full moon night) and fine dining under sail. We can�also�organize trips on other type of boats, including�fishing yacht charters, if�this is�your�preference. We�don’t�recommend anything shorter than 4 hrs ( 1/2 day) if you want to enjoy TRUE SAILING (not under motor�“sailboat ride”), however short rides may be offered upon customer request. HIGH END fleet and premium services -�“not on a budget"
Our�yachts are well cared private vessels that are offered for day charters to�private groups only. We make sure each�yacht is�thoroughly prepared for you - ALWAYS CLEAN - and�professional crew welcomes you with a smile. Our boats SMELL NICE �-�because �we make sure air is always well�ventilated plus a few more tricks - you�will not experience typical BOAT SMELL and�mess. All yachts are taken care of - kept in�conveniently located MARINAS - not at anchor/�mooring. Please see our docking slips - as each yacht has different�LOCATION. We have premium options from SOUTH BEACH - and mainland marinas ( cheaper) e.g. Coconut Grove 25-30 mins away by car from SoBe. Our�vessels are sailing�yachts and due to size they also have motor. However we make sure�SAILS are OPEN�as fast as we can. 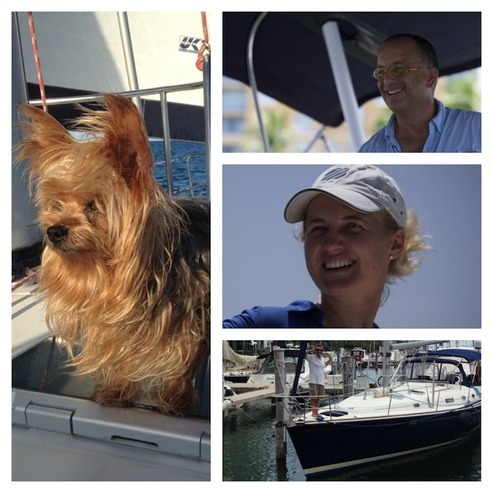 Our crew is energetic and young enough to provide you with full sailing�experience�UNDER SAIL�- not motor only. 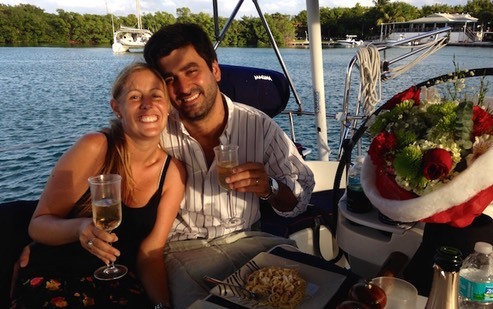 Miami Sailing staff is devoted to providing you with�an�ultimate service�aboard our yachts. Initially, we started sailing as a side activity from our regular jobs on�"Como Tu”�- our beloved mothership Lancer 40 - and slowly developed it to full time career - as only this way we could be fully dedicated to providing our guests with�reliability of service,�individual approach, dedication to�details�and�ultimate�service. 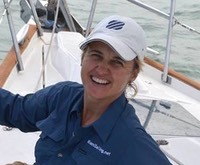 Since one boat in fleet is neither reliable nor covers expenses of costly repairs/maintenance nor crew living expenses - we�decided to take risks and expand to second vessel -�"Wind Runner”�joined us in 2013 - and started working with other luxury vessels owned by responsible owners that take care of their vessels. All our vessels are beautiful, always clean and very well kept - each of them offers different features due to�vessel�size and design. � Please let us know what you are looking for and we will deliver. We are the only company in Miami that�offers reliable and�professional services - by most professional, young and�experienced captains and full attention to details . 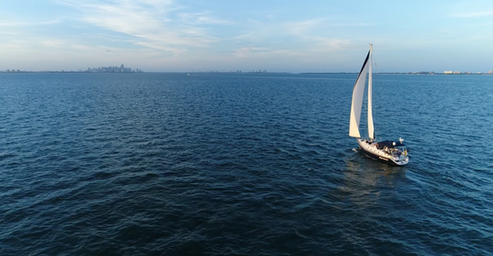 Our premium location in Miami Beach Marina (SOUTH BEACH)�is without doubts - the best location in Miami, offering easy access to the ocean or calm�Biscayne Bay�(we are pretty much the only ones that can offer ocean sailing on half day sails). Unique views of�private Fisher Island, one time opportunity of seeing Miami Harbor (big�cargo�ships and cranes) or Biggest Cruiseship Port (possible on the way�back), sailing by secluded�Virginia Key�with spectacular views of whole�Downtown Miami -�into Biscayne Bay - will stay in your memories for ever. We offer a unique sailing�from/to Miami Beach or Downtown Miami�with remarkable views of the�city by night. Pls don’t expect quality sailing experience if an older couple suggests you a 2 h ride - as on a sailboat it means leaving marina under motor - motoring the channel - one round�under motor - �and return to slip. It may be the cheapest - but for sure NOT THE BEST VALUE you deserve. We are also happy to organize corporate events, including CORPORATE�business receptions (max 12 guests) and team building�regattas (6 participants/per boat). Please let us know what you are looking for and we will deliver. We can also provide you with�premium�catering or premium dining under sail for a very special occasion. We cater to private groups�up to 6�and up to 12 (per boat)�on larger vessels. WHAT KIND of EXPERIENCE �YOU are LOOKING for? All pictures on our website are real - without editing tricks. Before, �the�yachts of 40 feet plus were�built with�quality for the people who could afford it - and expecting highest�quality - without cutting corners. Today casual market�tempts�with lower prices - compromising quality�tremendously. Was the captain/crew�professional? courteous? entertaining? or your skipper was a�“ driver" that wanted to have it done asap�…and you had nothing to talk about�….�Is he�“young” and strong enough to fully perform and open sails ( yes - it is very much physically demanding job and need full�attention)�… . 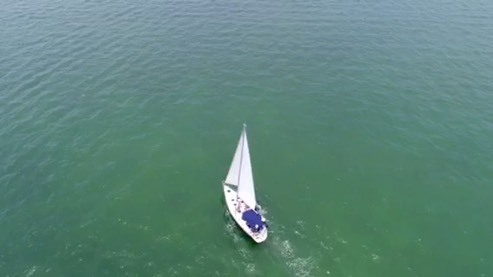 Did he open sails or was under motor only for�his convenience ? �Our�priority is to�put smile on your face�and have a good time. We want to�exceed your expectations�and never�under deliver. Quite�opposite indeed -we’d rather�surprise you in a�positive way rather than promise you things and "under deliver". Unlike others we�don’t promise things we do not deliver. We do not lure with fake extras�and later make excuses. All reservations are in writing and you know what you get. There is no fake fotos, no photoshop�“beautifications” of our boats nor the crew. Good Photography is an ART for which you need a good eye and tech skills (science) as well. Timing - Most sailors know that even a full day is not enough to�enjoy true sailing trip - but due to time - half day ( 4 hrs ) is our most popular charter. Each marina (in Miami) = no exceptions , have access channel that can be 10-20 -30 min long - before you can open sail, based on wind direction of course �- so�calculating entry and docking part - you know your answer what 2 hrs on sailboat is a ride from any location. For some�captains - due to their age - it is more convenient - as it is the easiest trip and does not even require opening sails …. just motoring�…�and for them least effort and most money earned by doing 2-4 a day short riders under motor. � It' s your boat for the day, YOU are in charge ! 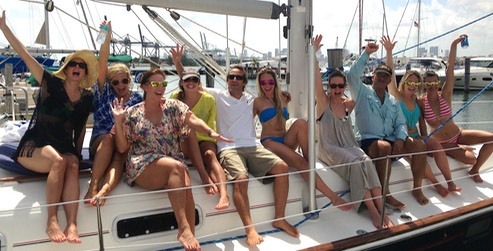 Come sailing with Miami Sailing�and we‘ll make sure you‘ll have a pleasant experience on your visit to Miami. We want to make you feel relaxed so when back in port, you’ll feel like a new born person.